How can I share a document from within Word, PowerPoint, etc.? Word, PowerPoint, Excel all allow for a file to be shared directly from within the same program. Below is the instructions as if you were sharing from Word but the instructions are the same for all the programs. Students should be sure to check with their teachers on which of the following sharing options the teacher has required. In Word 2016 for Windows, it's easier than ever to share your documents. 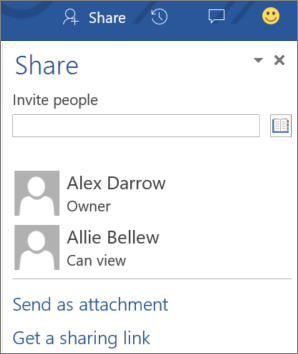 When you share your files by using OneDrive or SharePoint Online for Office 365, you can invite people to the document directly from within Word, or send a PDF or Word file as an email attachment. 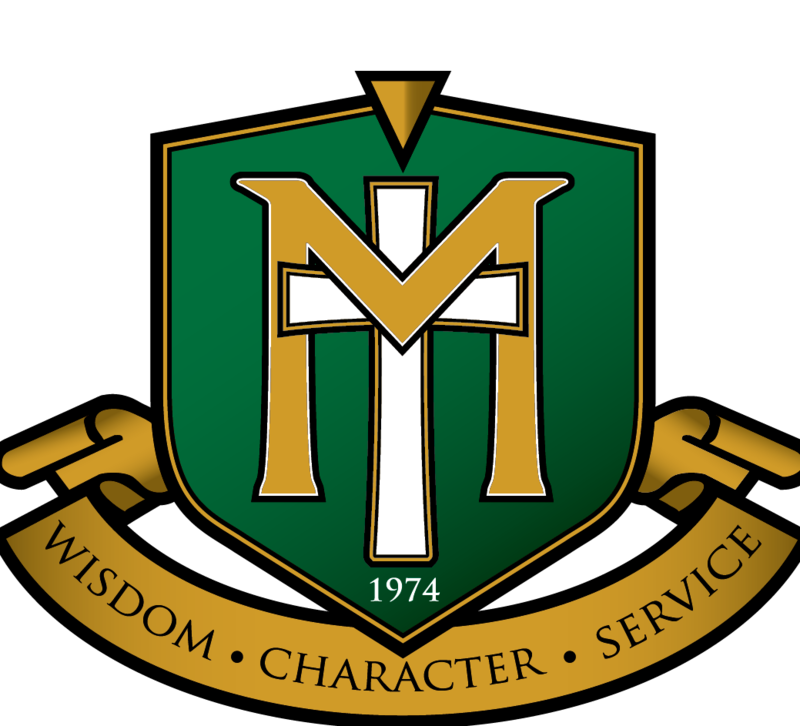 Be sure you are signed into the Office Program you are using (here it is Word.) Head to this article if you need help. If you have not signed into the program it will not Share the document. Share a document when you're ready. Open your Word document, and choose the Share tab on the right side of the menu bar. If you haven't saved your document to OneDrive or SharePoint Online for Office 365, you'll be prompted to do so now. 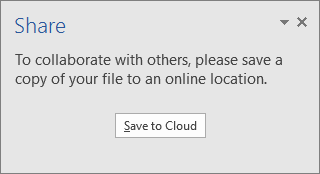 Choose Save to Cloud, enter a file name, and choose a location to save your document. Once your document is saved to a shared location, you can invite others to work on it. In the Invite people box, enter the email address of the person you'd like to share to. If you already have the person's contact info stored, you can just enter their name. To share with more than one person, use semicolons to separate the names or email addresses. 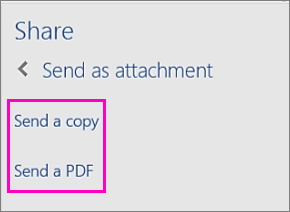 You can send your document as an attachment—as a copy or as a PDF— to an email message. 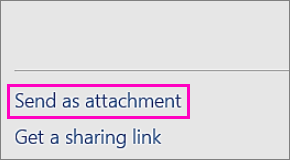 In the Share pane, choose Send as attachment. Choose either Send a copy or Send a PDF. Note: A new email message will open in your default email client, with a copy or a PDF of your document already attached. In the To box, add the recipient's email address, include a message, and then choose Send. To learn how to work together online in a document and see everyone's changes as they happen, see Collaborate on Word documents with real-time co-authoring.